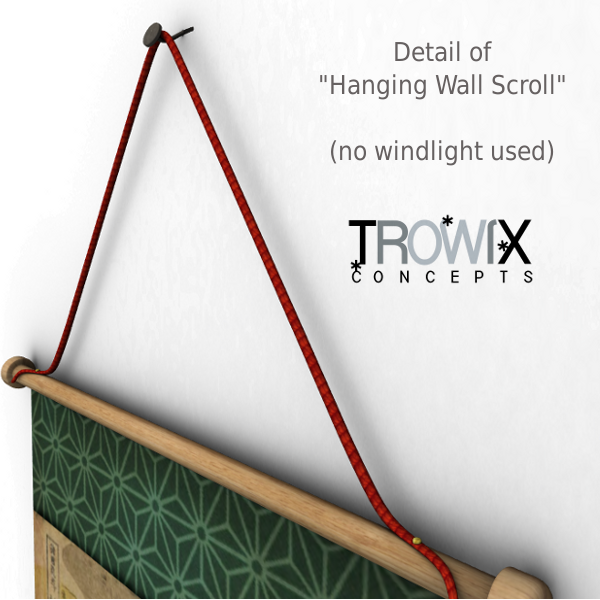 A detailed adaptation of classic Japanese wall scrolls to give almost any picture or photo a unique look. 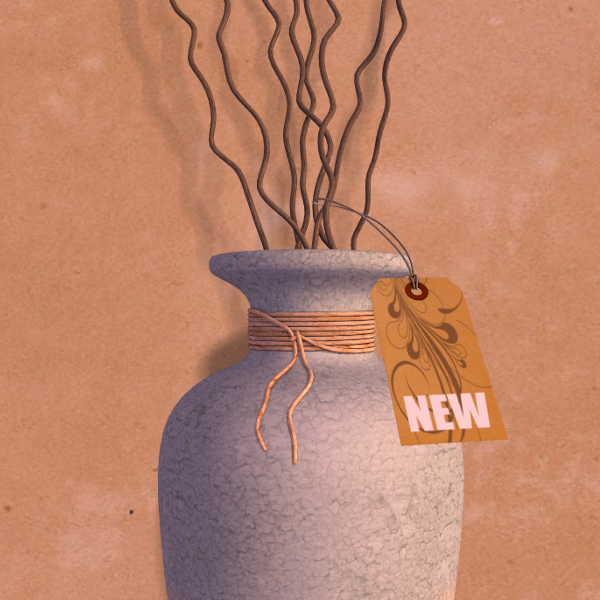 …or even your very own photos. 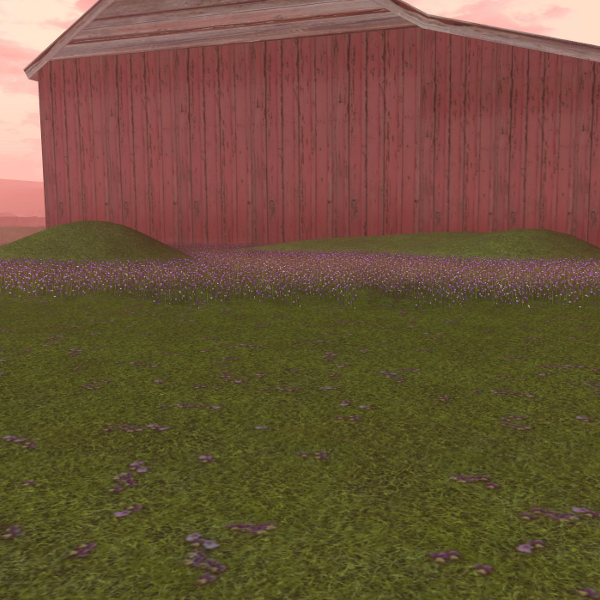 The mesh is made so it is easy to texture in-world. 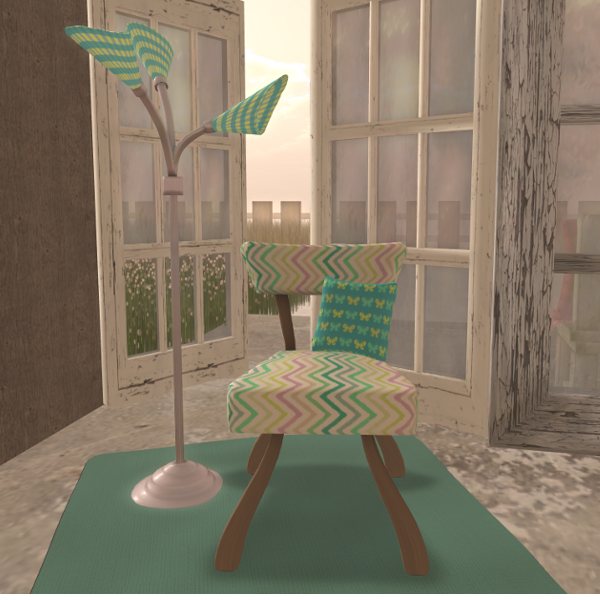 Just select the front texture material and place your picture! 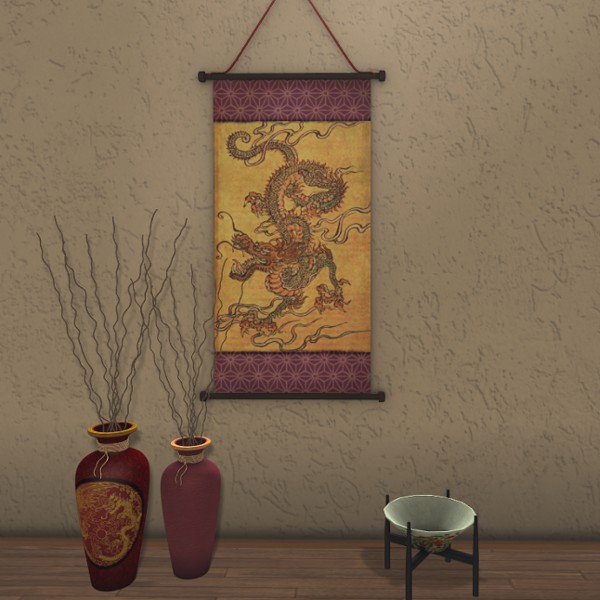 512 x 1024 size or 1:2 ratio is optimal, but you can use other sizes, just adjust to fit. 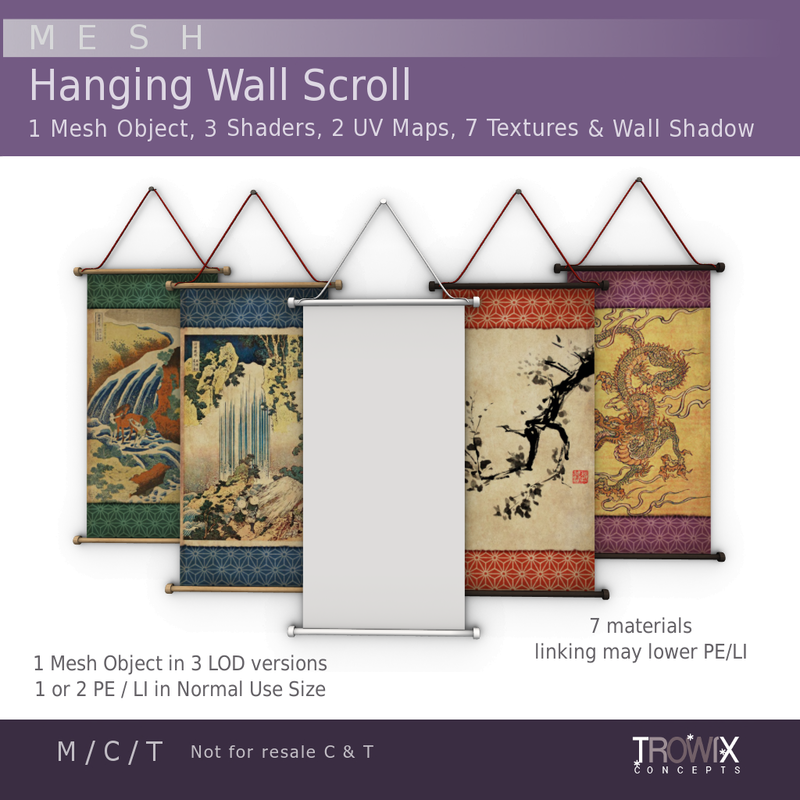 Original mesh with AO shaders and realistic wall shadow. 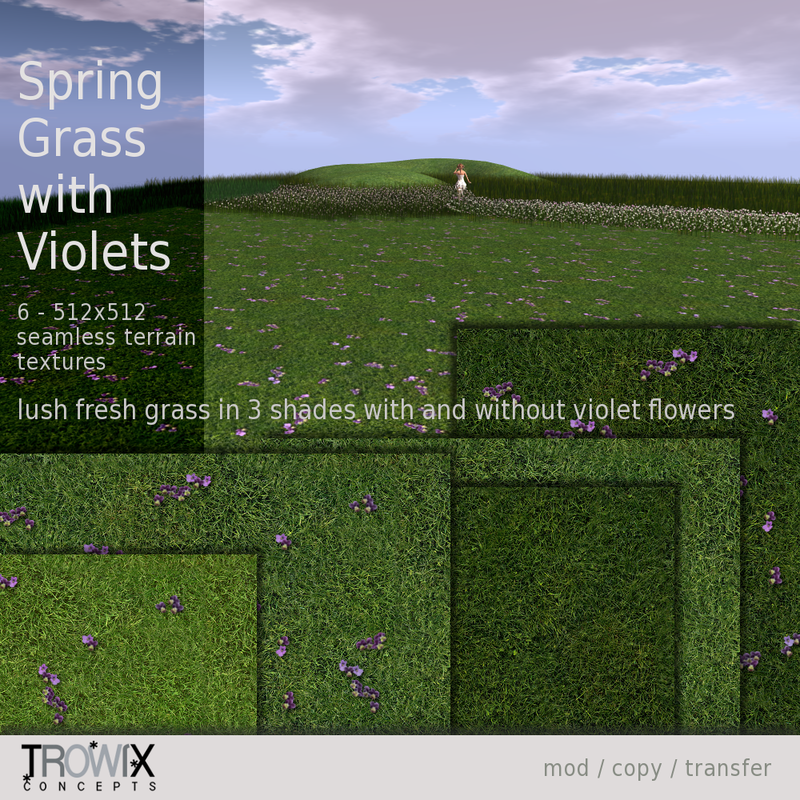 Extremely low prim equivalency (PE or LI), 7 materials and smooth texturing. 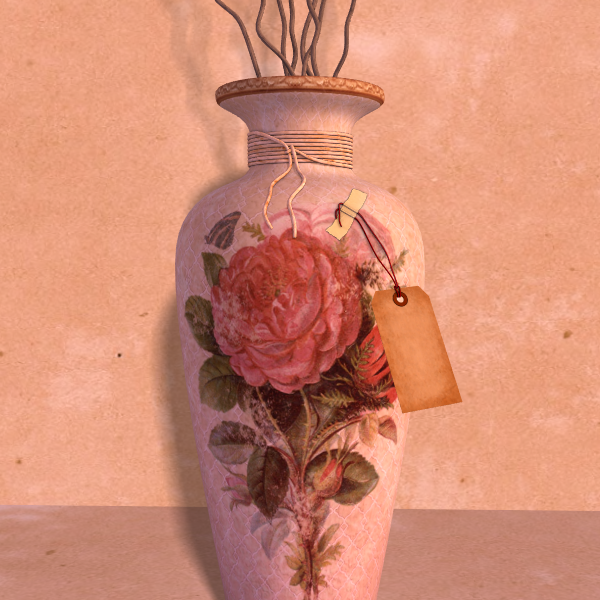 Never forget … the details! 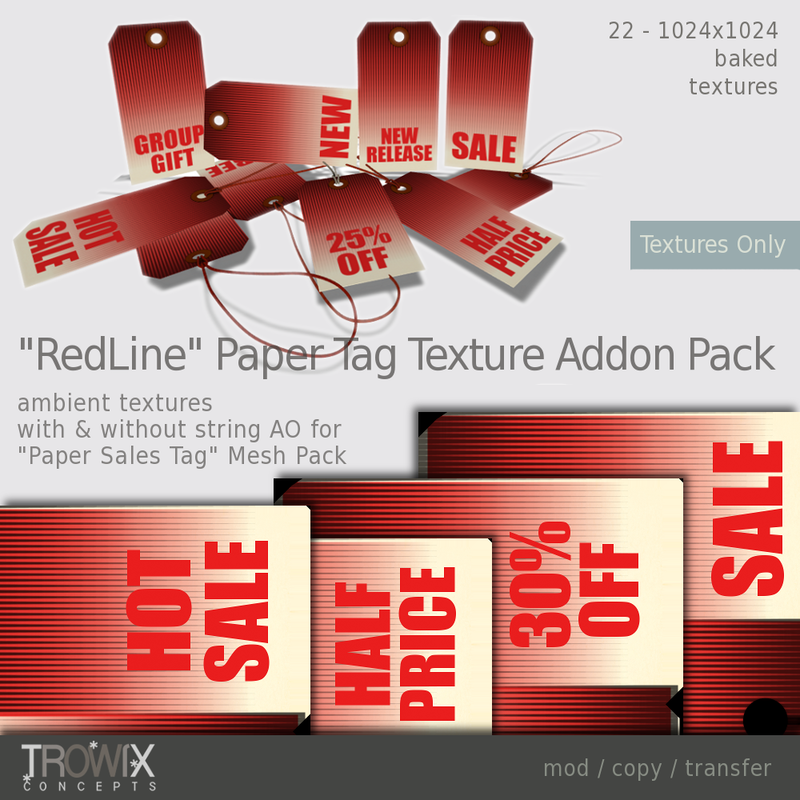 Attention-getting and bold these textures will will help drive your sales when used with our “Paper Sales Tag” mesh pack. 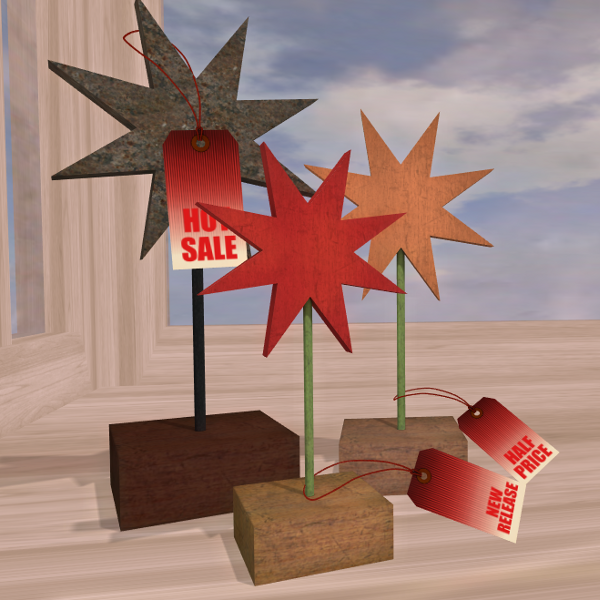 Convenient for quick sales and group gifts. 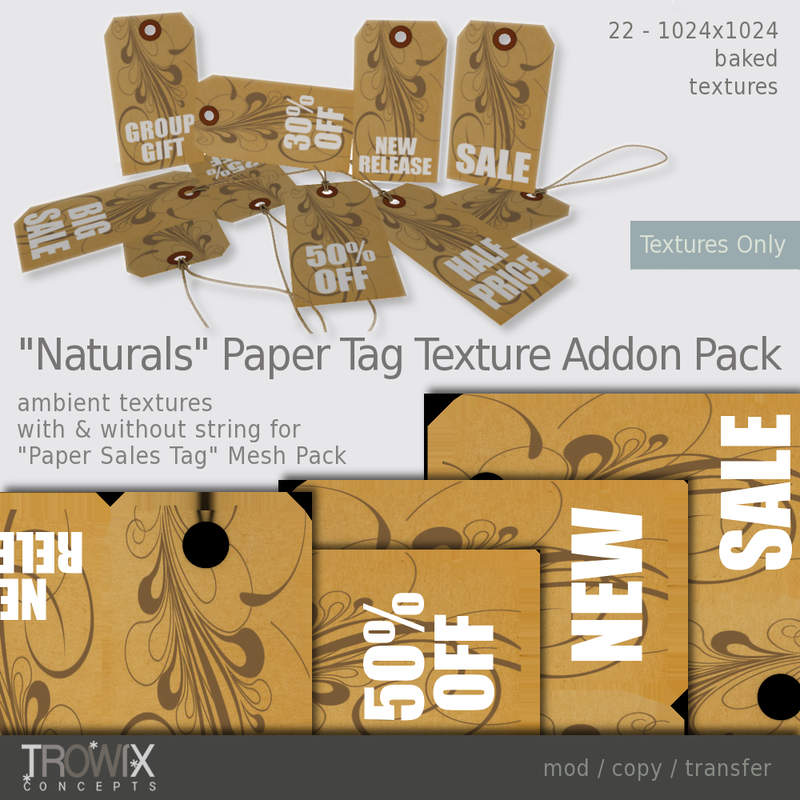 Stylish and fashionable, but still casual texture for our “Paper Sales Tag” mesh pack. Pretty! 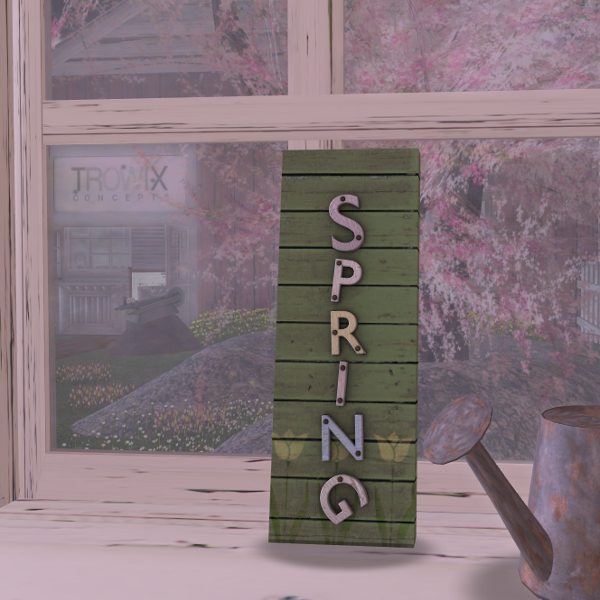 Find your favorite tag at the Trowix Barn or on Second Life’s Marketplace, RedLine or Naturals. 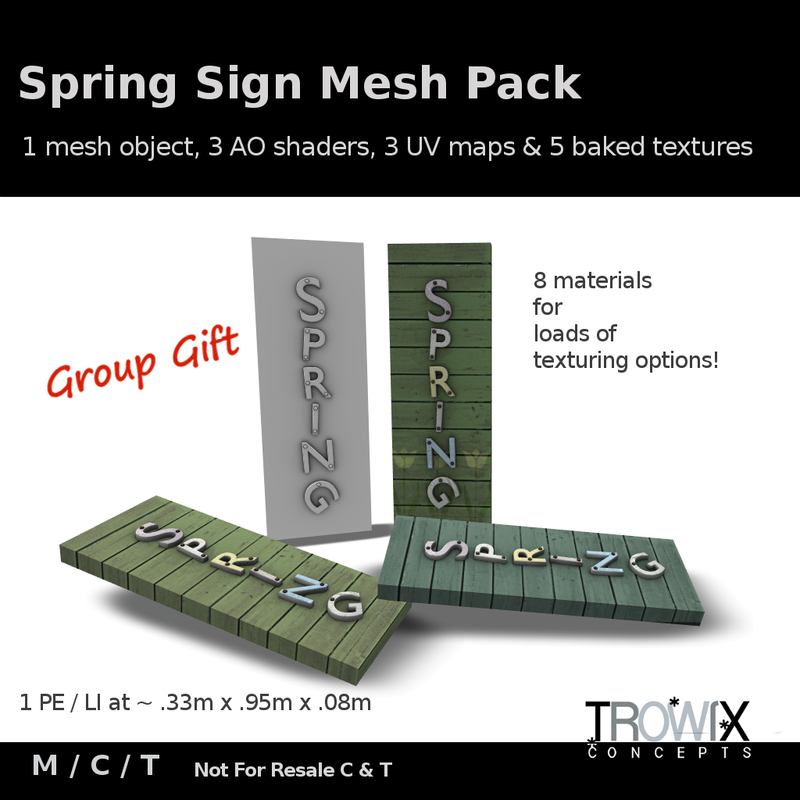 Texture Add-0n Packs are textures only. 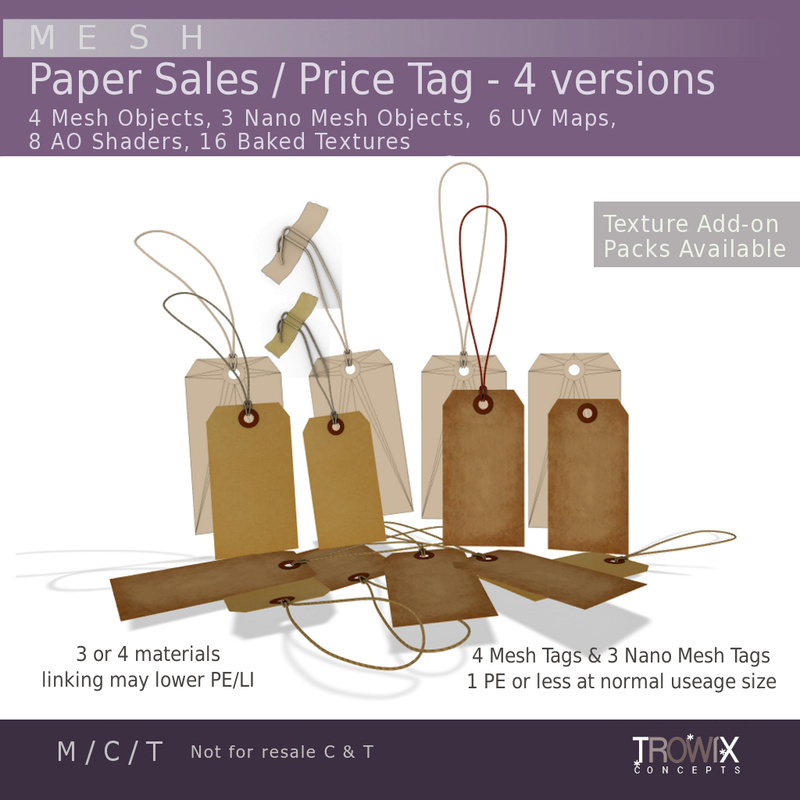 Detailed, realistic original mesh tags ready to use or modify for your store and builds. Clever shadowed taped version for flat surfaced vendors & bulletin boards, too. 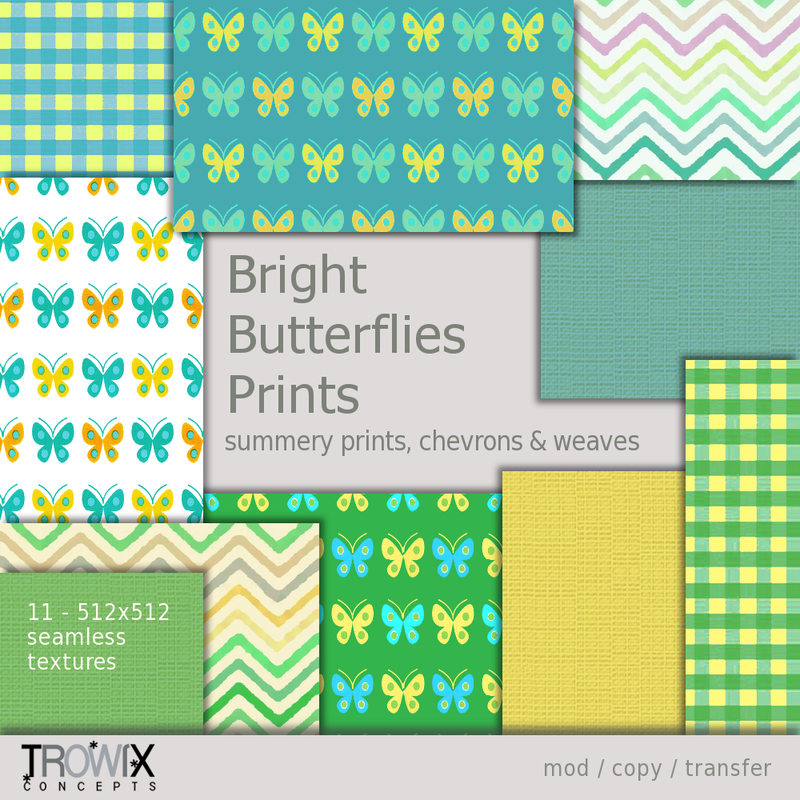 Nano versions are included for your tiniest prices and sizes. 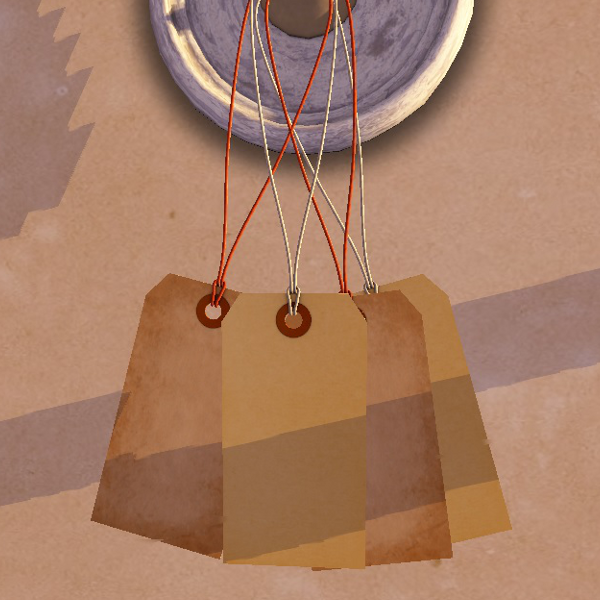 Kraft paper textures old and new with Ambient Occlusion Extremely low prim equivalency (PE or LI). Just think! 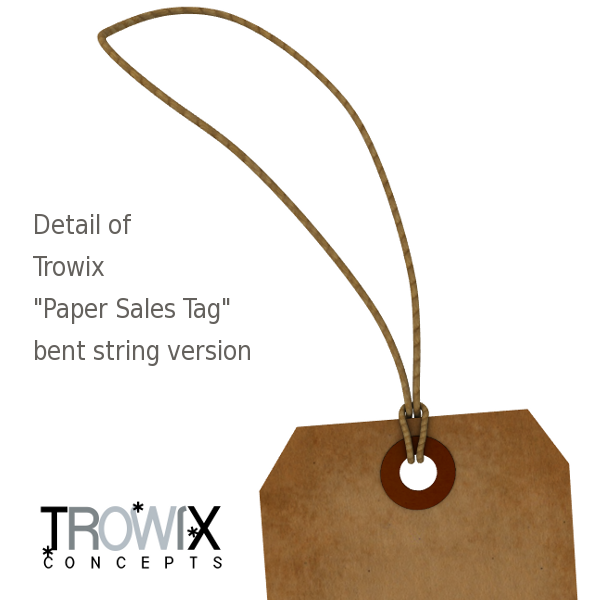 You can tag your old luggage, tag your store sales, tag your dog – you can tag anything! Only 1 prim. Keep them handy.